Students can enter AUIS School of Medicine on two different tracks depending on their educational background. We offer a 4 Year Traditional US MD for students with the necessary biological sciences coursework. We also offer a 5 year program geared towards students with little or no college science classes. Students complete basic medical sciences courses in an organ-systems curriculum and learn clinical skills while participating in volunteer community health experience(s) during 4 semesters on the island. For students entering into our 5 Year M.D. program, this represents years 2 – 3 of your medical education, while students entering into our 4 Year M.D. program, this represents years 1 – 2. Core Basic Sciences content includes Gross and microscopic anatomy, molecular & cell biology, pathological basis of human disease, epidemiology, research, ethics and issues, and principles of clinical care. Semester 5 of Basic Sciences is a professor-led USMLE Step 1 review which meets at the AUIS campus in Atlanta. The goal of this program is long term retention and application of foundational knowledge to increasingly complex clinical situations. It is taught over 4 Semesters (15 weeks) semesters at our Barbados campus and prepares students for the clinical phase of your education. 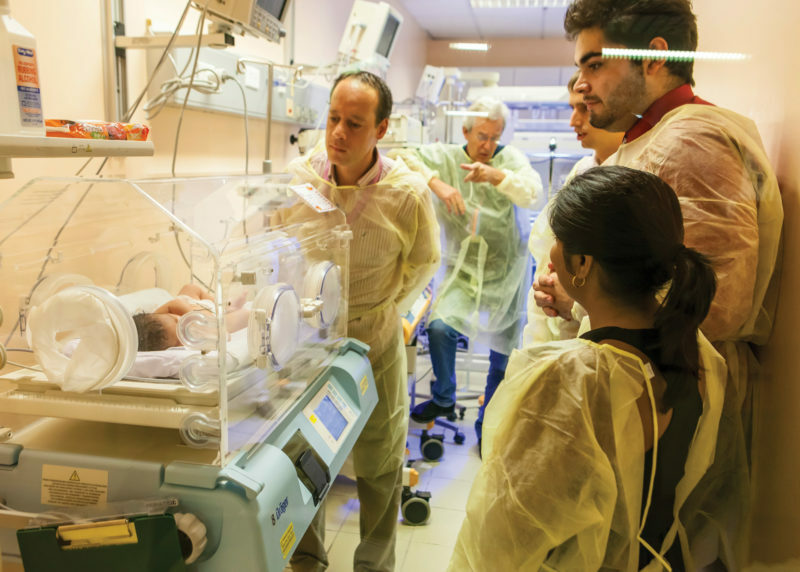 The new organ systems curriculum involves integration of a number of medical disciplines and is taught using several active learning methodologies in small groups, lectures, laboratory exercises, hands on clinical training and community health education. A unique fluid testing system is designed to prepare students for USMLE Step 1 through maximizing retention and memory recall. Semester 5 is offered at our US campus in the Greater Atlanta area and is dedicated to integrative study and review of all basic sciences coursework. 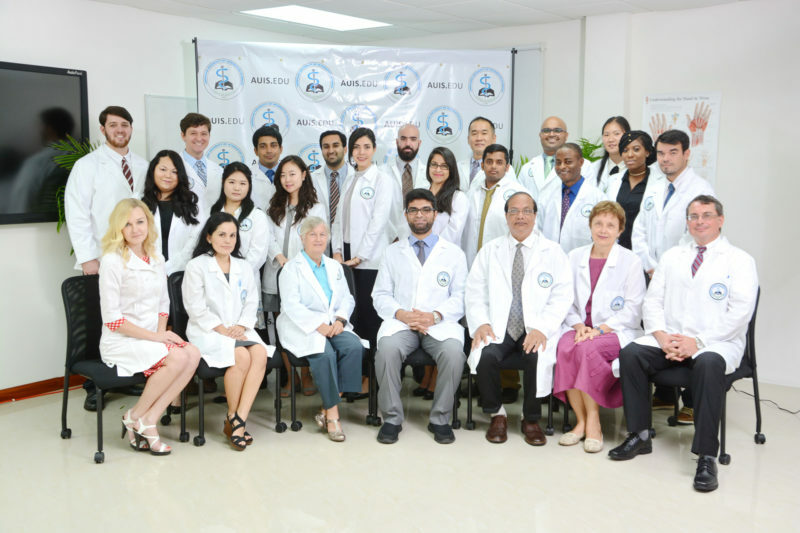 Our 5 Year program is simply an extension of our 4 year MD with a pre-medical sub-curriculum. Students interested in the 5 year program start in our Bachelors of Medical Sciences program and then matriculate into our 4 year MD program as outlined above. The Pre-medical sciences component of the 5-year program offers an accelerated pathway from High School to Medical School through completion of all prerequisite coursework and the 90-credit hour US medical school application requirements within the first four semesters of study. Students are eligible for direct admission into the MD program at the end of Semester 4 post successful completion of all coursework. Students train in clinical skills through preceptor supervised patient contact in both inpatient and outpatient care setting. These years in direct patient care enhance our students’ proficiency in medical history taking, conducting physical diagnostic examinations, understanding practice guidelines and developing interprofessional relationships and leadership skills. The successful Clinical training model enables students to become competent, compassionate physicians. 4-week Advanced Clinical Medicine pre-clerkship in clinical procedures and skills certifications using a high definition medical simulation laboratory in Atlanta. Students complete 80 weeks of Clinical Clerkships in the US, Canada, and some international hospital locations.